This hidden camera detector and locator provides you feature to detect hidden camera around you. This app is the best and easiest solution for your privacy. If you are traveling a lot and staying in hotels. You can use this hidden camera detection to safe yourself from being spied. camera detector and locator will work as spy camera for you safe your family from hidden cameras which are spying. if you found any camera in your room or shower then there should b hidden camera. This hidden camera detection uses magnetic field to detect camera and it is the reason of varying readings. This is not our fault this is the limitation of sensor of different phones. - hidden camera detector will make camera detection easily. If there is no magnetic sensor you cannot use this app. 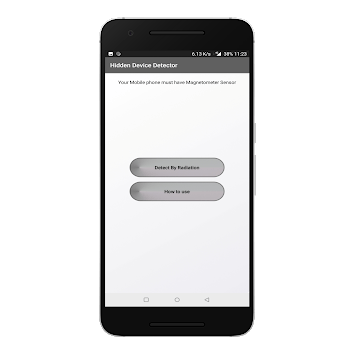 You can check for your phone's specification online to know whether your phone have magnetometer sensor or not. If there is no camera nearby and the camera detector is showing high reading you just have to shake the phone gently to make reading accurate. detect each and every electronic device and also potential cameras which are hidden. 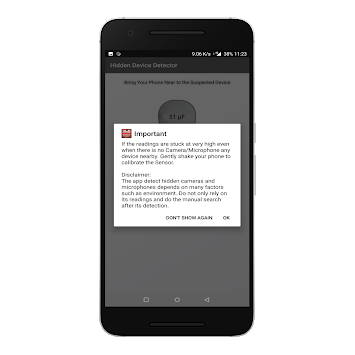 hidden camera detection app asks for Internet permission (To fetch ads). camera permission is taken for IR camera detection and IR remote detection. If you are in unfamiliar place like hotel room,guest room,under shower,even at your own private room,public washrooms etc you could be under a secret camera , here our app hidden camera detection helps you to detect that spy camera,hidden camera or secret camera save you from hidden cameras and make your self safe from being spied on. 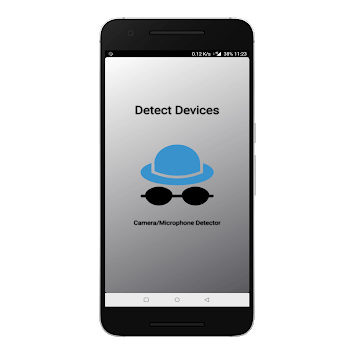 app detect hidden camera even when it is not visible by naked eye, camera detect only by radiations like magnetic field. This hidden spy camera detector can be used in changing room, dressing room, or public bathrooms to detect hidden cameras around you and to make you feel safe from hidden cameras. Rate us and share this app with your friends.